The collection we have assembled ranges from vintage to cutting edge. 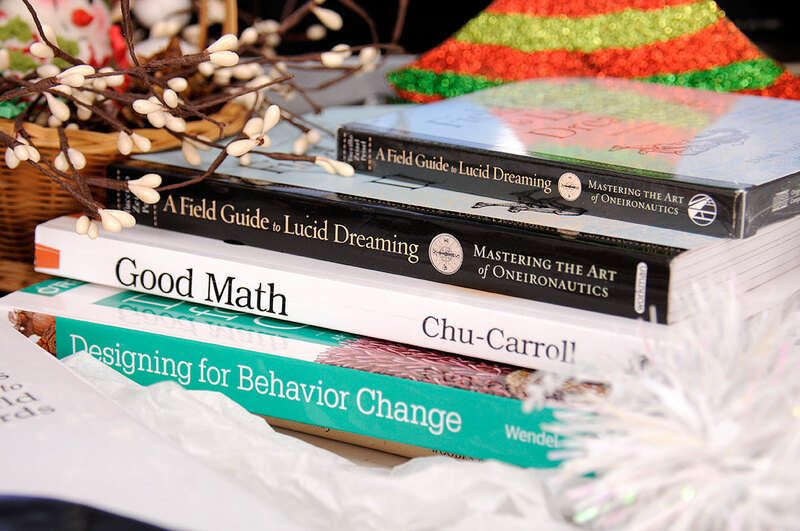 We are sure you will find something fresh, stimulating, and fun for the inquiring minds on your gift list. 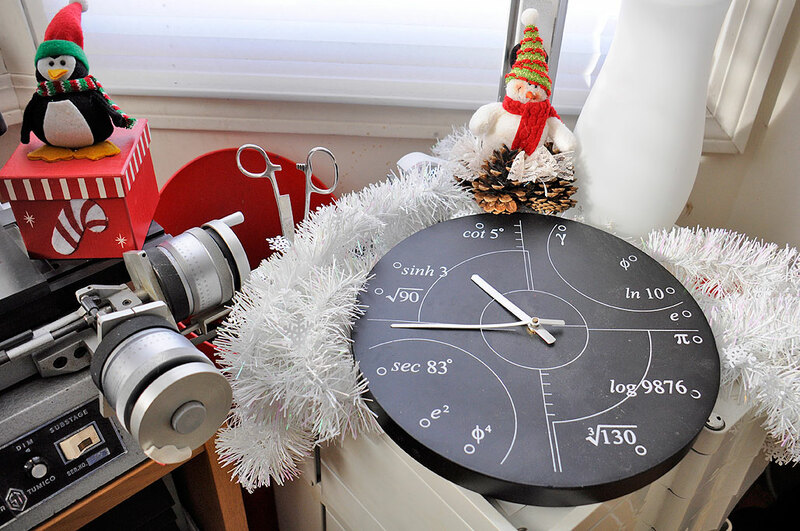 Irrational wall clock – Designed by a mathematician, usable by everybody. Vintage Metal Microscope Slide Box – Old school charm, still just as functional. 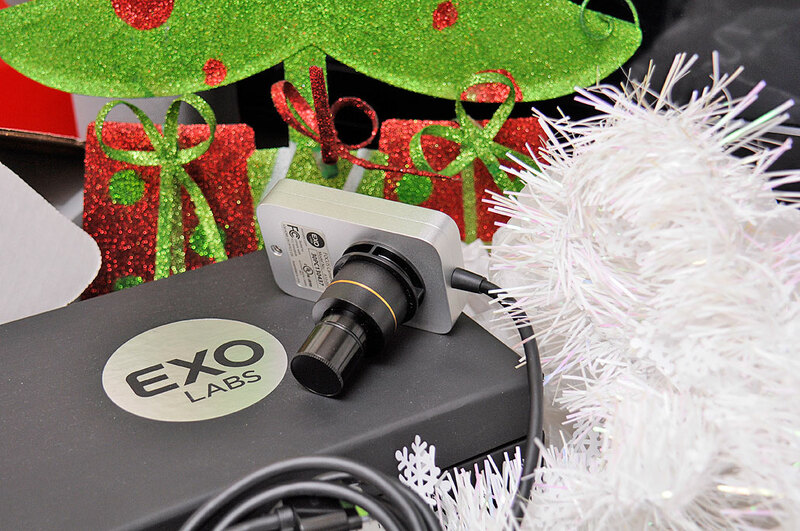 EXO Labs Microscope Camera – This is no ordinary camera. It was designed to work with an iPad. With the appropriate adapter, the EXO will let the user share what is under their microscope or in their telescope. It can even work as a stand-alone macro camera. Coolest piece of lab gear ever. Handbook of the Birds of the World – The 16th and last volume of the super-encyclopaedia of birds. The first volume was published in 1992. The entire series took close to 20 years to complete! This volume covers four passerine families: Tanagers, Cardinals, Buntings and New World Sparrows, New World Blackbirds. Bird Songs of North America (250) – Drawing from the collection of the world-renowned Macaulay Library at the Cornell Lab of Ornithology. Renowned bird biologist Les Beletsky provides a succinct description of each of the 250 birds profiled, with an emphasis on their distinctive songs. Push and listen with the built-in player, and drive the cats crazy. A Field Guide to Lucid Dreaming – Coolest brain-hack EVER. Designing For Behavior Change – Learn how to design products for users seeking to take action and achieve specific goals. A must-read for all UI and product designers. Come back tomorrow if you are looking for gift suggestions for the home and garden. We have a nice collection of new items just for the GiftGuide, along with some we have found to be worthy after a few season of testing in the RainyDayGarden. Happy Holidays!! !